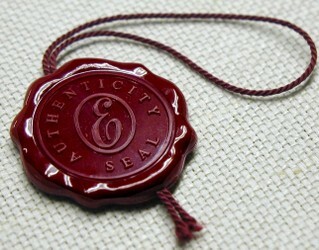 To me authentic is the expression of a company culture through marketing communication in human speak. A simple digest of complex information of what the company helps you do that makes it interesting. More storytelling and appreciative inquiry than positioning. To translate that in internal communications, it's what gives you that rise of pride in your chest when you read a memo. Less messaged, more real. Here's where we are, here's where we're going. You're very much part of it, and this is why. When related to external publics, it's the easy conversation that takes place with a trusted source, someone who comes through with technical or domain knowledge. What you need to get the story written, the numbers down, the details straight, the community informed. It's when you know that the truth is more important than the facts. Truth in advertising? There can be such a thing. It may not be a campaign. Truth lasts for as long as things change and things change all the time. Who is in the B2B Customer Service Elite? 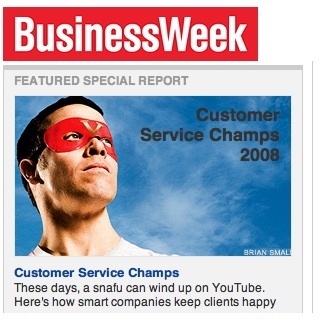 BusinessWeek just published an in depth special report on customer service. It announces the 50 top companies that know how to keep employees happy, invest in technology that helps customers, and have a service mentality from the top down. Amazon, that ranked number 23 on the original list, is number 10 for readers. There are also some companies, like L.L. Bean, that slip from number 2 to number 5 after voting. Starbucks is voted to number 2 in the poll, while it is at number 6 in the report. Clearly, readers will vote for the brands they have experienced, and perhaps for those that have done a good job in the marketing conversation in the absence of direct experience. Not all brands touch all people - for example, while I'm an aspirational Posche driver, I never dealt with the company. As many marketers have been saying for years, a high service grade leads to a recommendation or vote of confidence on the brand and correlates directly with repeated purchases. In other words, a good reputation leads to consideration. That's great news for the companies ranked higher in this report. I could not help but notice that each one of those companies has a retail customer base. What would happen if we rated B2B companies? When I searched to see if such list existed, I found a string of training programs, outsourcing opportunities, and some pretty old posts and articles on B2B customer service slipping. But no list. Yet, companies need good customer relations, too. Even those who work with other companies. The current competitive environment is such that we can all turn away to another provider these days. And there are dozens waiting in the wings. The next couple of pages in my search ranking list the best job openings in B2B customer service. An entrepreneur involved with start ups once told me that the money is in selling to other companies, not directly to consumers. Maybe there are many small B2B companies that are making their customers very happy and for both reasons - it's good news and they are small - we don't hear about it. Why is it important to know? Because good reputation leads directly to purchase consideration, builds brand equity, and makes the company more money. That's why. Marketing is serious business, yet sometimes it's good to poke fun at very serious things to loosen up and look at things differently. Every so often it's good to laugh at ourselves. Do you have some good jokes on marketing? I proclaim today marketing humor day. Help us get over the mid-week blues. Join in the fun, leave a good marketing joke as a comment here. The most original (and in good taste) wins a copy of The Big Moo by Seth Godin. Redmond, Wash. (SatireWire.com) — Microsoft announced this week that a version of its Windows operating system will be installed in BMW's new 7 Series cars, a move analysts say will dramatically increase the vehicle's ability to suddenly crash for no reason. According to BMW spokesman Gehard Voorst, the cars, which will now take at least five minutes to warm up, will enable owners to confidently cruise and compute at high speeds for several hours before the machine abruptly seizes and catapults the driver through the 7 Series' new "blue windscreen of death." 10. You lecture the neighborhood kids selling lemonade on ways to improve their look-to-buy ratio. 9. You get all excited when it's Saturday so you can wear casual clothes to work. 8. You refer to the tomatoes grown in your garden as "deliverables." 1. You think a "half-day" means leaving work at 5 o'clock. In the last couple of weeks I spent more time learning about how new LinkedIn functionality can help me become more attuned to my professional network. It's important not to lose touch with the people you meet at events, for example, yet the connection tends to become more tenuous as time goes by - unless there is a way to continue staying in touch that does not mean an automatic subscription to a newsletter. Has anyone thought of asking for permission to send the newsletter, by the way? The interaction can and does happen online - although the tool generates emails to the members of your network in some instances (profile updates, new questions, etc. ), the email comes from LinkedIn, not from someone to you specifically. It seems like a subtle distinction since you gave them permission to keep you up to date with the initial act of linking. Somehow it feels good to be able to delete that email immediately and know that it is still stored in your LinkedIn home page to deal with it later. The tone and layout of these emails is less annoying (as well as less frequent) than the ones I used to get from Facebook. No pokes on the shoulder here, either. You can ask and answer questions - I tried it last week when I was doing research for a story and it worked beautifully. In the space of a couple of hours, I had solid business advice from professionals in my network. The beauty is that the content in question and the answers allowed me to meet a couple of new people who would have probably never crossed path with me in the blogosphere. This might be true especially of people in the B2B world. Asking and answering questions also gives you the opportunity to become a thought leader in a subject matter. The weakest ties may be the most active in your network - if I have a pretty close business relationship with someone, chances are our day to day communications happen on other platforms. We may meet face to face, on the phone, or correspond by email. LinkedIn is very useful for staying aware of what those others are working on, with whom you would not have a day to day or frequent check in otherwise. On more than one occasion, I have forwarded introductions from people in my network to others. This is much more powerful than just trying to reach someone you don't know directly - it comes with a cover note and the recommendation of a person whose brand you trust. You can see who checked your profile - on the right sidebar in your home page, you will see a box titled "who has viewed my profile?" I've had a couple of surprises there, too. Maybe you came up in a keyword search for someone who is looking for talent in a specific area. Or perhaps you know someone that someone else would like to get in touch with. You have probably noticed the "people in your network are hiring" towards the bottom of the page, too. Recruiters have a special way of using LinkedIn. Harry Joiner recently wrote about recruiters and LinkedIn at Marketing Headhunter. There's a beta news service tailored to your industry and company - I am liking this a lot. It allows me to see what my colleagues are reading. So far, I have found several articles of interest and the beauty of it is that nobody had to lift a finger. The system put them in rotation whenever I visited. Under the news section, you can now see all the network updates. Most of the time I scan these. LinkedIn also sends an automatic "updates" email periodically, in case I missed something. There are professional groups and networks on LinkedIn. To date I tried only one, so I do not have a good idea of the amount of communication and activity those generate. All in all, this is my online professional networking tool of choice - it keeps things clean and simple. I would be curious to learn how you've used LinkedIn. Do you check to see if someone has a profile there before interviewing them? Have you researched providers in your area? I've seen many recommendations. How are those working out for you? UPDATE: LinkedIn has a new (beta) home page. Check it out. It seems they did away with the "see who checked out your profile" function. This is not the same as monetizing your blog or social network with advertising. I've been pondering this question for several years. At times, we discussed how we could charge for Fast Company readers' network events to cover venue costs and possibly snacks, yet the path of least resistance ended up being finding a sponsor to provide the physical meeting place or pay for the snacks. Our work was simply donated to the network. Piers Fawkes [hat tip to Greg Verdino] revisits the concept in the 50/50 corporation. My experience is consistent with his - if you build a network as a free resource to get people to sign in, you will be hard pressed to charge once they are in. You've created a certain set of expectations. Not only that, you may also have provided incentive for a certain dynamic that may end up muddling the real value with low involvement. How? The perception is that free or cheap equals less value, especially when the value resides in what you need to do to get results. In our case, part of it was showing up. Once I was very close to starting a non competitive network for high level referrals and business deals. One people would need to pay for to join. The idea was to make it part career support group, part business referral place - a mix of people working on the client side and providers. Then I talked to a couple of people who were part of such a network created for that purpose. It would be easy for me to think mine would work. Yet I'd like to evaluate the feedback from the other group with you here. While the network was created expressly to provide a way to pass on warm leads and referrals to others, no leads had exchanged hands. Why? From talking to various members I can infer that each was playing their cards very closely. The events ended up being unproductive sessions where people talked more about misadventures than about ways to help each other build their business. The fees were perceived as too high, which leads me to think that indeed nobody saw value in the membership. Everyone ends up being a seller and nobody is buying. Everyone is talking and nobody is listening. Charging makes sense when the group and face to face opportunities (or online support) have real and perceived value embedded in them. From the start, as Piers validates. Would this be a 50/50? Probably, but not in the sense he means. I'm thinking more about managing to hold overhead costs low and making the events also social. At the other end of the spectrum, I am seeing more and more companies giving away what they used to charge good money for. That's because they've learned that now the game changing piece is making friends. In other words, touching those people (note I did not say influentials) in networks and communities who are seeking that information and may likely spread it. Is a company a network? Yes and no. The network is how you get things done inside a company, yet a company defines itself with an organization chart. There are some new generation companies that operate differently - that difference is built in the product and service itself. Piers cites a great example of that with Google. Google - 80% Profit - The first day you came to Google.com you knew it wasn’t just there for fun. Still, the most profitable revenue generation is ambient - from advertising that’s contextually designed to be more ‘helpful’. I'm now wondering if SEO and SEM are the two percentages for other companies. You give away thought leadership material to generate SEO and then sponsor key word searches through SEM to inform people of all the other solutions your company offers. They complement each other and can be calibrated to be meaningful in affecting traffic to your online presence. This is the question. Given a choice, I think we'd all rather profit in some form. Yes, I know there are plenty of ways to gain referrals and business through blogging, sharing information, and building relationships. My take is that it is not inherently bad to want to make some money in the equation. Many authors, for example, make little money from the book. The money is in the speaking gigs they can get as a result of having a book. Or in consulting based upon the book. The Power of Full Engagement is a book, and a training and organizational assessment methodology. I mention it because I evaluated it a couple of years ago for a company-wide meeting. Whether you intend to make a profit or not, one thing is ringing as true today as it has always been - you need to make friends as you plan to make money. I suspect that the answer will be calibrated more and more within individual business models rather than being one solution fits all. Yet, I have not heard of a business that did not have as its first goal to stay in business. And that requires funds. Print is Far from Dead - Can New Media Rise to That Level? More on the official announcement here. You know what's interesting? No US papers among the winners, all European. These publications have been around for a while. SND29 World's Best-Designed Newspaper (slideshow) from Society for News Design on Vimeo. According to the judges, the first criterion used for the selection is consistency - the design, typography, neatness and unique voice are throughout the paper. They make good use of grids, layouts, bite size news and all the pieces that make a newspaper attractive to read. In watching the video I also heard what they mean by surprise - some special elements that go above and beyond what one would expect. The third element cited was courage - unconventional elements that exuded enthusiasm and a certain fearlessness. That is quite a way to describe news reporting, isn't it? Intelligence seems to be defined by the judges as coherent narration, attention to detail, confidence. Design for news print includes images, colors, all that makes the story stand out. It looks like the entrants to this competition were 14,000+ [hat tip to Bruno Giussani]. Who says print is dead? I'm seeing a difference right away in the circulation numbers. The online subscription numbers are not comparable because they can be global. How many people would subscribe to a daily or weekly who are not local? How much time does each visitor spend online vs. how long reading a printed page? Finally there is the big question of design. How do we determine good design, even great design in online publications? Are there examples of great photography and story weaved together in the layout online? If we look at the criteria used for judging - consistency, surprise, courage, and intelligence - as described, print surely looks quite far from dead. I subscribe to a local business weekly newspaper. I find it very helpful because it covers topics that I would not find anywhere else. And I buy the Sunday paper where I admit I have one columnist left among my favorites, the others fell victims to centralization, cost efficiencies - in other words, layoffs. What about you? Do you still subscribe to print dailies or weeklies? W-List - Where are They Now? It's been more than seven months since I kicked off the idea of compiling a list of women bloggers. The idea was to help spread the word on exceptional women who blog and help them network and connect with each other. Then I let the list go. It's not my list, it's everyone's list. And many who found out about it along the way changed it for the better. Two influential bloggers and good friends helped the list reach tipping point - Liz Strauss, author of Successful and Outstanding blog and Toby Bloomberg, author of Diva Marketing blog. Then Carolyn Townes, author of Becoming a Woman of Purpose, created a wiki, the w magical list. At last count, there were 304 blogs on the list. I am quite sure that many bloggers don't know about it, or there would be more. shares her experiences living with cerebral palsy to motivate and inspire others to think about how they perceive their own situation and their own world around them. She does all this by typing with only her left thumb! Her reader's cafe' series of interviews with guests who have experienced first hand how it feels like to live with a disability are very powerful. One word that comes to mind is spirit. Drop by and visit with Glenda, and maybe you can meet her at one of her appearances. Where are those women today? I would love to hear from you here in the comments. Share your stories. I am sure that many of you have accomplished wonderful things since last August - possibly finding opportunity through the connection. CK (and Drew) launched the first ever Blogger Social in New York on April 4-6, 2008. Liz Strauss launched her second SOBCon, which will be in Chicago on May 2-4, 2008. I discovered other talented women since last August. Skellie who publishes at Skelliewag and was invited to blog at ProBlogger, Connie Bensen, and - thanks to Twitter - Aruni who publishes entrepreMusings. Thanks to Joe Raasch, I became much more familiar with fellow Fast Company Expert bloggers Wendy Marx and Donna Carlin - if these ladies are not on your reading list, you might consider checking them out. Donna was one of the creators of the Think Different Challenge. Learn more about why in conversational marketing, comments matter at The Blog Herald. Hitchcock made cameo appearances in his movies. He was there, yet in most instances he was not visible. His presence was most felt behind the director's camera. He used that lens to tell a story, one where the stylistic choices he made to use recurrent objects created a certain effect. You know, what kept you glued to your seat and pulled you into the screen. That effect. How can we do the same with our marketing conversations? How can we be there by being focused on the other, the customer? How can we make experiences both memorable and very personal? With the point of view, the guiding light of the editor and conversationalist/storyteller. Hitchcock's movies offer audiences two key ingredients - fear and fantasy - always tempered with good doses of humor and realism. In fact, the more realistic and reasonable the beginning, the more compelling the twist. Ordinary person. Placing an ordinary person in extraordinary circumstances. We call that a persona. By creating an ordinary persona, one your readers can identify with, they will experience empathy for themselves. It is you here who needs to show understanding of what they are going through - their problems and issues. That's why social media is such a powerful force. People like you and me are telling stories we can all identify with. Wrong person. The case of mistaken identity leads to all sorts of twists in the plot. Think about treating an influencer at a level or two above what you would normally consider. Help them be the hero, and they will bring you to the table. Likeable "villain". The villains in Hitchcock's movies appear refined and charming. Raise your hand if you thought that sales calls are interruptions. Today I received a perfect example of a charming one. He was polite, did not beat around the bush, got to the point without apologizing or trying to conceal what he was selling. We can market like that through conversation. Of course we are in the market to sell and make money. Nothing happens until someone sells something. Stairways. These to me symbolize the unknown with marketing. Where do they lead? There is the allure of the glossy brochure, the courting through interactive marketing, then, at some point, we'd like some action. The stairway is where the prospect decides whether to follow. If we've done a good job at creating the right amount of positive resonance, they may trust us. Careful that it doesn't become the fire escape route. Mothers. Well, you know that inside every department in every company there is a hierarchy in the decision-making chain. Have you done your homework and gotten buy in from the people who have the power to say yes? The magic here is to work with the people who have the power to say no, not around them. The fastest way to kill your opportunity is to go around someone to their boss, who relies on them for a recommendation. Remember that. Take it to heart. Distilled wine. This is an interesting concept. Hitchcock included brandy, a form of distilled wine, in all his movies. We live in an age of snack culture, where people consume media in small bites. Yet people are willing to invest time and effort on things that are valuable to them, things they want. How can you distill the information to be the right one, at the right moment? Sexuality. This is the want part of the marketing equation. 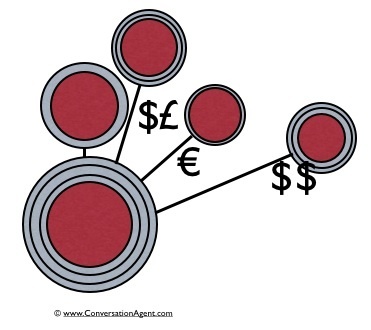 Need leads to commoditization, want leads to consideration. Think about a smooth marble countertop, a red Ferrari, a shiny white MacBook, this is achieved with design. How can we design experiences that people want to have? Look at entertainment - Le Cirque du Soleil, a Broadway show, a prestigious gala dinner. People want to be there. They must. Observer. The classic point of view most evident in Rear Window. There will always be people up front, participating actively to conversations, and people who are on the fence, watching what is going on and forming their opinions. You may not be able to involve them directly. Yet, the mere fact of being aware they are there, will prompt you to address their potential concerns. Breach of a rule. This is obviously the crime - normal and expected in a thriller. Breaking the rules works best when you've taken the time to know them, learn about the boundaries, research behaviors and reactions. Then figure out the opposite - zig instead of zagging - for example. Don't do it just to do it differently. Be smart about it. Know why. Heroines. Don't forget that many purchases today are made by women. We think differently, so much so that in Kawasaki's book The Art of the Start, he advise start ups to consult with a woman to vet a business plan. Why? Women don't have the killer gene. They are thus much better judges of the viability of a business model - and of a purchase. Silent scenes. This is the moment you are shutting up and your customers are talking. It's the best moment, the one you have worked for all along. This is were the conversation is starting for which the rest was a warm up. It's tempting to try to oversell. When the customer is talking and giving you an opportunity to help them, it becomes all about them. Forget shiny brochures for a moment. Make it a working session. Use what you have, and make the most of it, just like Hitchcock did in many of his movies. Can you remember that Rear Window was filmed from the angle of one single room? How about Lifeboat? His cameo here was in a newspaper ad for a weigh loss product. Masterful. Surely we too can learn to tell a story so compelling and creative, that it will have our customers waiting in anticipation. How can we be there by being focused on the other, the customer? How can we make experiences both memorable and very personal? They are the stars, we're the cameo. The long time readers of this blog, will probably have figured out by now that my weeks follow some unspoken thread - the posts seem to all be part of the same conversation. Although it is not entirely by design, it is a natural part of the brand I call Conversation Agent, which is tightly connected with the work I do. It so happens that this post follows one about egos. Revealing yourself to others is an important part of the process we call "building relationships," from which we build credibility, trust and loyalty. Thus, the businesses that choose to speak in a more distinct voice, stand out. Those who come to the fore to be spokespeople for their company, become important ambassadors while they gain visibility. They become physical embodiments of what those businesses stand for - they own that brand. That makes it easier to buy into what they offer. Social Media - Does it Help? As more and more people begin to use social media, more information about them is revealed. But is all the information about you out there accurate? Bob Walker has an insightful column in the March 2008 issue of Fast Company. In Our Profiles, Ourselves, he gets into why marketers who use social networking sites may be pitching into the void. The payoff - thanks to the help of marketers and pundits, we have now become quite good at managing our own identities. As in not all you read reveals the real deal - more likely a public persona. Revealing yourself takes place over time. There are many layers. That's why there are really no shortcuts to building relationships through permission and a fair exchange in value. Has mutual disclosure through memes, for example, also become a form of PR? Take a look at the definition of PR: the managing of internal and external communication of an organization to create and maintain a positive image. There is more to it than meets the eye. There is a point of balance to revealing enough information that is useful for people who engage with you and your business to get to know you. And not too much as to overwhelm the other or harm your own business. You know that expression: "that was too much information." Of course, your work speaks louder than words. That is your work with and for that person. One of the reasons why comments in blog posts and feedback in social media are so important to me is that they provide an opportunity to show that you are listening and care. It's the experience of you that matters to others. Not so much all of the accomplishments you have in your past. Another good case for being in the moment. Like one of my favorite professional editors and marketers, Ann Handley, I do not like to talk about me. This here is not about me per se, as much as how I see business topics and issues. At the same time, I believe in participating in conversations around the Web - Richard at Dell tagged me with a new meme on revealing things others don't know about you. We are a creative bunch, so it makes sense that each of us would respond in our own ways. Cam Beck's the most direct and to the point I've seen so far. Since I receive so many pitches from PR agencies, people with products, and people with advertising, I decided to use this opportunity to reveal what works well, and what doesn't work so well in pitches to me. Plus bonus bits of information on job titles I would like to have and a dash of inspiration. Even if we haven't engaged in conversations at this blog or elsewhere, you have been reading what I write about long enough to know what peaks my interest. This place is full of hints, take them. The pitch is polite, short, and inquisitive. It's not a long list of what your product or service does. The first time I hear from you it's not with a press release. You've got to make the connection first. It's through recommendation. Someone in my network who knows what I like to write about referred you to me. The topic has possible angles that fit within a larger context my readers would want to learn about. I like to connect ideas and people in the context of marketing, communications, and social media topics. Journalists are most welcome. Trends and research bits are best. My name is misspelled or not mentioned at all. It's a classic turn off, a sign we don't now each other. An indication that the attention was only partial. Sales people are masters at getting the name right. If you want to sell, take their lead. We are in the era of personalization. It's about you and your product, and not about what my readers have come to expect of this space. Think if you were applying for a job, for example. How are you a fit in that company? Same thing here. Tailor your approach. There's no follow through. This is a cardinal sin. It's an indication that you don't have a process in place. It signals you don't care. I try to answer most pitches with a response. Even when it's not a fit here, I may consider revisiting with you for some future opportunity elsewhere. I answered the request you made for more information and you've disappeared. Relationships are not built on one night stands. Strategist - "think and do" tank. Curator - ideas and trends. Something that would allow me to think and do, connect and contextualize. Curators are needed for the distribution of people's attention. I leave you with a thought from fiction writer Alan Judd (Legacy): "Because we think we know, we stop looking." What is revealed is in the eye and ear of the beholder, too. That's why there is so much talk about listening and paying attention. Now let's see how Becky Carroll makes the meme rock, Matt Dickman makes it techno, David Reich makes it a public relations affair, and Joanna Young makes it into a group writing project. 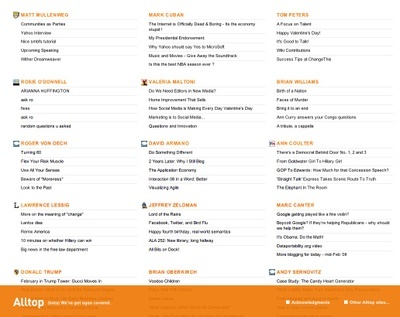 I'm on a list with wow blogs, some of which should be on my reading list. Hey, maybe some of those bloggers will notice my blog and add it to their list. The hardest thing to manage is our own ego. I take no offense to the term at all. In fact, I am with Rohit Bhargava when he says that ego is part of what marketing appeals to. Rohit's insight is that activities are mainly "criticized negatively by those who have bruised egos from not being included." Let's not get too focused on that for now. The ego (from Latin), in Freudian terms, is the mediator between the id and the super-ego, trying to ensure that the needs of both the id and the super-ego are met. It deals with the id and the super-ego; allowing them to express their desires, drives and morals in realistic and socially appropriate ways. It is said that the ego stands for reason and caution, developing with age. Chance has it that my next book in the queue is The Art of the Start. In the book, Kawasaki focuses on what's real and addresses the frequently avoided questions (FAQs). This has everything to do with managing our ego. What is it that we should work on and do today, this moment, that can make a difference? The hardest thing of all to starting anything is the starting point itself, where the ego does battle with itself and finds many ways to avoid the hard questions. For a taste you may also read the Change This book manifesto. Make meaning - to me it's about making the world a better place. What is your meaning of making meaning? Make mantra - talk can change our lives is a mantra. See the great examples of hypothetical mantras in the manifesto. Do you have a mantra? Get going - think possibility, different, test it as soon as possible. Blogs are ideal places to test ideas and thicken skin. How can you go to market with your idea more quickly? Define your business model - who is your audience? How are you going to get them to part with time and attention? Think of eBay's business model: It charges a listing fee plus a commission. End of story. Weave a mat (milestones, assumptions, and tasks) - Kawasaki lists seven milestones that apply to every business. When you start a blog (or any type of business), you (1) prove your concept; (2) complete design specs; (3) finish a prototype and show it around; (4) raise capital or how are you going to make money; (5) ship/show a testable version to customers; (6) ship/show the final version to customers; (7) achieve break-even. What are some of the assumptions and tasks you should consider? To me a blog was another opportunity to test how to start and grow something by doing it. And yes, as CEO of my own blog (and the Conversation Agent brand associated with it), the hardest thing to manage is my own ego. I won't let it go to my head and temper it with my heart. Thank you for reading and for your support.